Brooke is a busy mom of three with a strong determination to feed her family well. She is 5’5” and weighs 152 lbs. Her usual, pre-baby weight was 128, where she felt she looked good and had confidence in her appearance. While she dropped all of the weight after baby #1, after baby #2 she was still 10 pounds higher than her baseline. During her third pregnancy, she gained 30 pounds on top of that. Now, Brooke has a 7 year old, a 4 year old and a 2 year old, and is about 25 pounds over her ideal body weight. She’s frustrated that the weight isn’t coming off and blames it on “picking” off of the kids plates. Brooke came to me for help. Brooke hates throwing away food and doesn’t have a plan in place with what to do with leftovers, leaving her to pick off her children’s plates after meals. Simple rules like “only eat when seated at the table” and “all leftovers go in storage containers immediately after the meal or snack is done,” will be a big step towards her weight loss goal. She also needs to incorporate healthy snacks so she isn’t left hungry in between meals, which she can prepare along with her children’s meals, and keep ready in her bag. When Brooke starts eating only what she intends to eat, the 25 pounds will come off because her foundation is super strong (under those layers of tots!). 6AM: I wake with the baby, and head to the kitchen to pack lunches for the 4 & 7 year olds. Then I grab a coffee with Truvia and almond milk for myself. Prep extra produce for yourself and your toddler. Kid’s lunches should have a fruit and a vegetable as often as possible, so portion those for everyone. Don’t forget to prep your veggies as soon as you bring them home from the market so they’re in the front and center of your fridge when you need a snack. Oh, and ditch the Truvia for REAL SUGAR, it will help curb your sweet cravings later! 6:45AM Breakfast for the kids: Van’s mini waffles with Nutella and strawberries. A 4 oz container of cottage cheese for me. I ate the kid’s leftovers (about ¾ of a whole waffle, 1 tsp Nutella, no berries). Set yourself up to be successful! Plan a complete meal around your cottage cheese by adding a healthy fat, like flax meal or nuts, and portion out a whole serving of fruit to bump up the fiber and water volume. Hint: if you know there are going to be leftovers, box ‘em up and offer them back to the kiddos later as an after school snack. That way it doesn’t go to waste or your waist! 10AM I grab a handful of the kid’s cereal in the car while between errands -it was in my bag and I was hungry. I’m glad you ate a snack, but next time plan for it! There should be something for YOU in your bag, like a 100 calorie bag of nuts and a piece of fruit. Eating “kids food” isn’t going to help you meet your goals and you should feel good about what you eat. 12PM Came home and saw the sitter left my son’s leftover lunch on the counter. I finished 2 chicken tenders and a few bites of applesauce while I cooked my 2 eggs, spinach and avocado. I stink. So, you planned a delicious and healthful lunch and also ate what was out, only to be plagued by eaters regret? Absolutely have your sitter help you out by packing up leftover food and putting it away immediately, or do it yourself next time. If it’s out, you’ll eat it. Not because you have no will power, but because it’s hard to resist temptation when you’re used to giving in! 3:30PM After school snack for the kids. 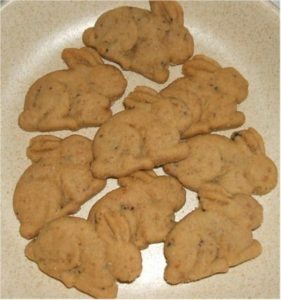 Planned to have a smoothie (Greek yogurt, berries and peanut butter), but ended up having a handful of organic bunny crackers, a few bites of cheese and a part of a homemade graham cracker while I was cleaning up the kitchen. Have you heard of BLT’s? The acronym stands for bites, licks and tastes. While it may seem like you are just nibbling here and there, those nutrient poor samples add up! Next time, take all of those things you would normally eat and put them on a plate. Send me a photo so we can talk about it. If you put them on a plate, and take the pic, and still want to eat it, make yourself a cup of tea, put a napkin on your lap, and have a grown up snack, like cucumber slices and hummus, instead. Then you’ll feel great about it! 6PM I made a salad, roasted chicken, sweet potatoes, tater tots, roasted broccoli and sliced raw peppers. I ate the salad and some chicken with the kids, then had a handful of tots while I was cleaning up. You had great intention and did a great job at the table. Make sure you leave the table satisfied and teach your kids to dump the leftovers (or put them in a container if you don’t want to waste) and put their plates in the sink. Make the decision that clean up time is for cleaning, not for eating. After dinner sweet: Enlighten bar. I’m all for an after dinner sweet every now and again, but stick to 70% dark chocolate, or a novelty with clean ingredients, such as a Chloe Fruit or Diana’s Bananas.